Vikan cleaning tools are made to do specific jobs exceptionally well, and the better you understand a given tool, the more hygiene value it will give you. To help you make the most of your Vikan tools, we offer online assistance, formal training and informal advice on specific cleaning applications and tool usage. 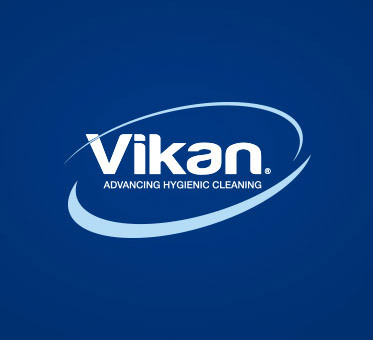 Here’s how we can help you better use your Vikan cleaning tools. We are happy to provide onsite training in specific cleaning applications and cleaning tool usage. All training is conducted by a Vikan representative or your local Vikan distributor, who can also contact Vikan for sales or customer service training at any time. If you have questions about a particular cleaning issue or about one of our tools, you are always welcome to contact your Vikan representative or distributor for free advice. An in-house hygiene department, a huge bank of food-safety and hygiene knowledge, collaboration with specialists worldwide and lively participation in seminars and conferences make Vikan a world authority on food safety and hygiene. Is your Vikan bucket half full or half empty? We like to catch up with our distributors – not only about sales and figures, but to ask your opinion about our products and offer support for your Vikan product promotions. Read what Emma Spurr from customer service has to say about this.